Brookings has started a news series of roundtables on “identifying, managing, and mitigating the major risks to Africa’s development”, billed as “private, high-level”. The first session of this format focussed on “external risks, namely falling commodity prices, China’s economic slowdown, and rising external debt”. This framing follows the long-standing trend to view economic development in Africa primarily through the lens of globalization and Africa’s (often disadvantageous) integration into the world market. I think that this is the wrong approach. Focussing on “external risks” conveniently limits the agency of African societies and governments in addressing their economic problems. African countries have zero influence on Chinese growth, commodity prices and the health of financial markets. Yes, these trends can be monitored and, to a very limited degree, forecasted. But even in a best case scenario this leaves African economies the sole option of finding the least bad response to adverse conditions, instead of focussing on their opportunities to shape their environment to their advantage. International institutions have of course aided and abetted this trend. The IMF’s fetishization of GDP growth has pushed African governments to prioritize the exploitation of natural resources over local manufacturing and services. And it has made attracting foreign direct investments much more attractive than broadening the domestic tax base. It is also disingenuous to lament exposure to China’s economic slowdown, falling commodity prices and an increasing debt burden, given that those countries who are now in trouble because of these trends celebrated financial windfalls in prior years. The commodity supercycle comes and goes, nobody on the continent or abroad should have been surprised by falling prices. Instead of wasting time and money on “private, high-level” meetings, Africa’s decision makers should start looking at their countries’ domestic potential in earnest. This may necessitate breaking with some of the conventional wisdom espoused by international institutions, though even the IMF is now conceding that abolishing capital controls and lionizing austerity wasn’t the smartest approach. So far every major economic success story has either involved a country intelligently limiting its interaction with world markets (e.g. China or Korea) or focussing on close regional cooperation (e.g. the European Union) with financing to a large degree being sourced from domestic sources. What could this look like in the case of African countries? High on the list should be the reintroduction of capital controls, as well as incentives targeted to prevent the outflow of resource rents and corporate profits. This should be done in the context of a concerted push for complete transparency of international financial flows, especially beneficial ownerships of companies and property. African countries should also demand much better deals in exchange for access to their natural resources and if these are not forthcoming simply leave them in the ground – oil, gas, copper and gold are going nowhere and can always be exploited later under more advantageous terms. Having an “investor friendly mining code” should be an insult, not a praise. This is of course easier said than done. There are complex and relevant social and political reasons for the status quo and I don’t want to pretend that I have a solution, especially not in the specific context of every single country. But perspective matters – the lens through which one analyses the problem often predicates the range of possible outcomes. 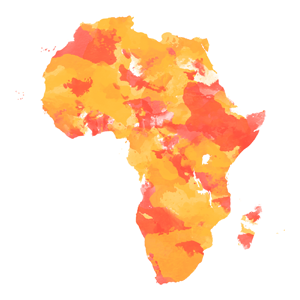 African countries have made great strides in many areas over the last two decades. But progress in access to economic opportunity and equality has been lacking, despite adherence to the conventional economic wisdom. It is high time to change the lens.